ELECTUS Distribution has announced a range of versatile enclosures, moulded in a light grey polycarbonate material with a clear lid and neoprene seal, that provides environmental protection to IP65. 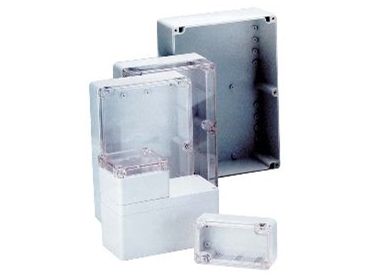 The enclosures feature stainless steel lid fixing screws, threaded brass inserts and internal PCB guide slots. The enclosure's mounting holes and lid fixing screws are outside the sealed area which prevents the ingress of dust and moisture. For full technical specifications and availability, contact Electus Distribution or visit www.electusdistribution.com.au.